I had the good fortune to attend a screening of Hayao Miyazaki’s final film, Kaze tachinu (The Wind Rises) during it’s 7-day run at the Landmark in Los Angeles, CA. The film will see a “wide” release in the USA in February 2014, but for a week in November, it played in NY/LA to qualify it for the awards season. Entertainment, on the whole, is fascinating to me. As a society, we are surrounded by countless outlets that peddle to our desire to be entertained. We have ever-increasing avenues for instant gratification, and many of the most excessive and high-profile films to come out of our own entertainment industry reflect the kind of ADHD our society exhibits en masse through the never-ending multitude of “social media” platforms. Be it monsters or aliens, mythical beasts or demigods, there is nothing much out of the reach of Hollywood’s talented phalanx of visual effects artists. The capacity to enchant and dazzle has been outsourced to high-performance computer arrays designed to render photorealistic effects to satisfy every outlandish flight of the imagination imaginable. But here, in The Wind Rises, is something that portrays- often to aching levels of detail, the herculean effort poured into it at every moment. It is a hand-drawn, animated film produced in Japan by the venerable Studio Ghibli, and directed by the legendary filmmaker Hayao Miyazaki. Reviewing any film is, ultimately, an exercise in aesthetics. 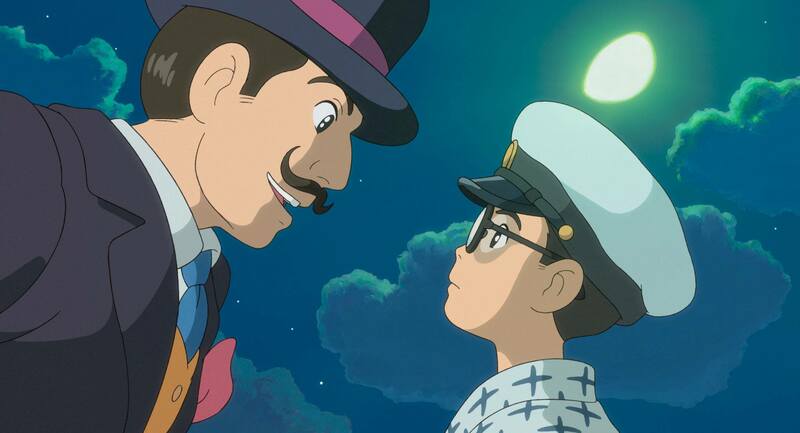 In the case of The Wind Rises, there is plenty to see and experience, and I had the distinct impression that what I saw on the screen was as pure of a distillation of Miyazaki’s imagination as has ever been committed to the form. I have been a fan for many years, and I have seen, with one exception, every feature-length animated feature the man has directed. In Japan, the film has apparently been a political lightning rod. I do not know to what extent you could characterize the story of the film as containing egregious, political grandstanding. If there is an agenda, it is conveyed in the most understated, laconic, and utterly assured way. Perhaps that is a hallmark of Miyazaki’s work: quiet conviction. There never seems to be much precipice-hanging uncertainty inherent to his work. If anything, the most stressful situations a character may be placed into seem a direct reflection of their own uncertainties about themselves, and they always rise to the challenge, often with a notable lack of poise. And they don’t always succeed. 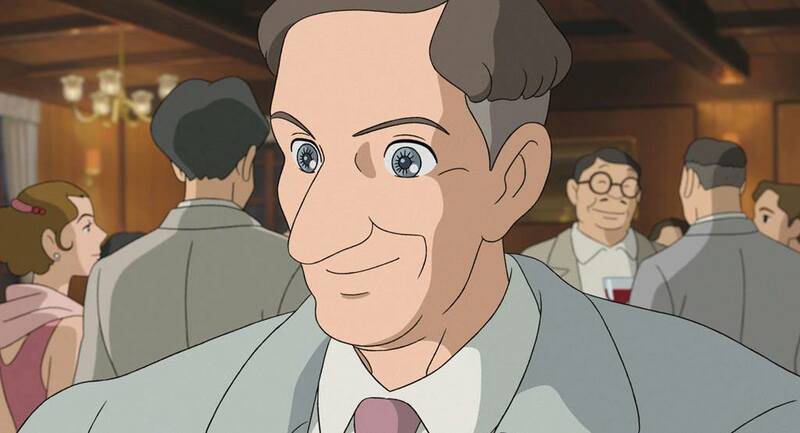 Prior to viewing The Wind Rises, my favorite Miyazaki film had been Porco Rosso. Now, I am not so sure. There is a dark whimsy at work in this film. In the face of a catastrophic (as we know now, in retrospect) conflict, the young airplane designer Jiro Horikoshi forges ahead with his dream of designing beautiful aircraft. The journey is fraught with perils that come in the form of outdated technologies (or lack thereof, as expressed by the Japanese defense contractor Mitsubishi utilizing oxen to haul airplane prototypes to the airstrip, which is paved with mowed grass.) Other obstacles include the dismal failure of crashed prototypes, and Jiro’s visit to Germany, which produces a feeling of awe and admiration, quickly tempered by the condescending attitude of his Third Reich hosts. There is a delicate, slow-buring love story that emerges midway through the film. This, perhaps, is the greatest fiction conjured in a story that has a great deal of historical context at its disposal. 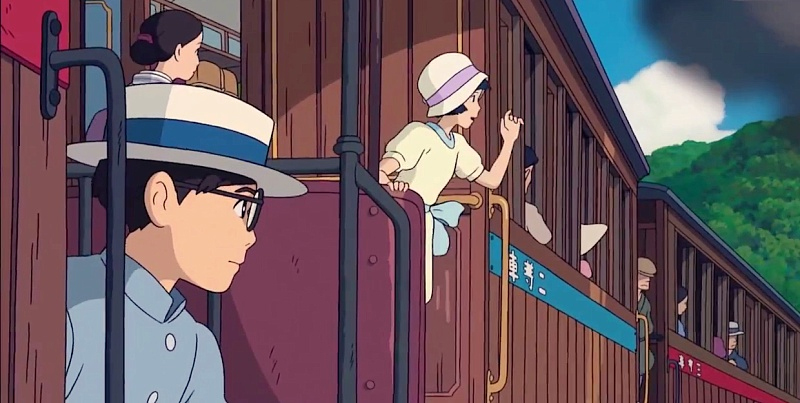 But it is a beautiful fiction, and executed with a mastery that cements this film as Miyazaki’s most emotionally stirring. I mean- dang. 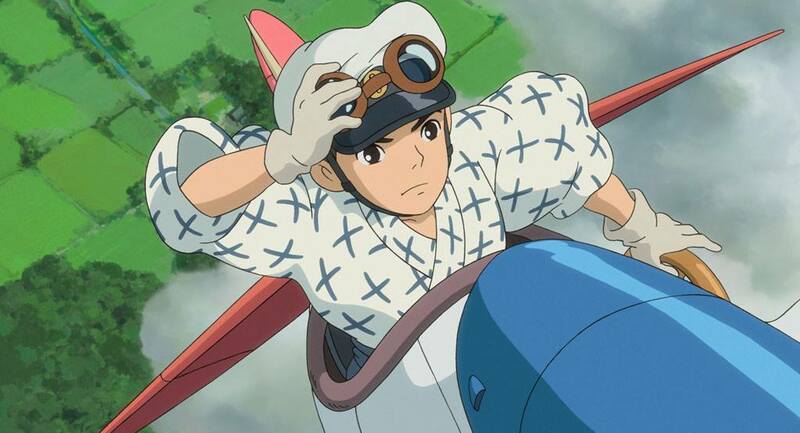 The Wind Rises. We must live. – the title of the film is derived from a poem by the late French poet Paul Valéry. It’s meaning is both enigmatic and ominous. In a way, perhaps the nature of our modern world is to increasingly reduce the components of life down to modular commodities – healthcare, transportation, clothing, food, water. There is a devastating earthquake early in the film. Every groan of the earth is represented though sound effects produced by human voices. Every airplane engine sputters to life and hums into the atmosphere with sounds that have been produced by human vocal chords. The bedraggled Japanese form forlorn lines marching for the hills, away from the fire and desolation. There is a shrine where many take refuge. The earth moans again and the shrine begins to crumble. We contain the breath of life – a mysterious wind echoes from the depths of our souls. 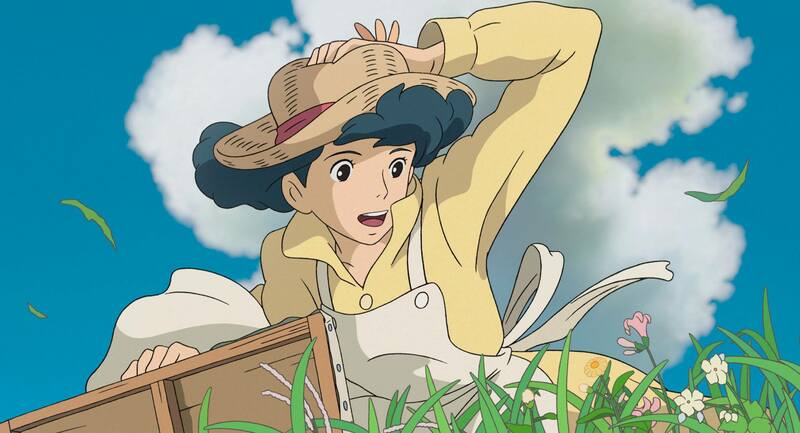 We must live as long as that wind rises.